UPDATE: while the method described below still works, changing your system date can mess up other applications on your computer and make Strava behave badly. A better solution which does not involve changing your system date can be found on this page. Zwift currently places everyone on the same course, according to the course schedule. 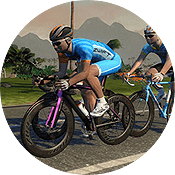 The course schedule is posted each month in the Zwift Support Hub–for January 2016, the course schedule places everyone on Watopia Sunday-Wednesday, and on Richmond Thursday-Saturday. Eventually riders will be able to choose which course they ride on. Until then, here’s an easy hack that lets you pick your course on Zwift. Are ready? Here it is: change the date on your computer. Zwift sets the course based on your computer’s date. So if you want to be on a different course than Zwift has you scheduled for on any particular day, just change your computer’s date to a date when the other course is scheduled. I’ve been using this trick to get test laps in on Richmond while everyone else is on Watopia. The riders list will only show riders on the same course as you–which means it will be quite empty. You’ll also only be competing against those riders for the sprint, KOM, and lap jerseys–which means you’ll win some jerseys! Lastly, the chat will still show chats from everyone, regardless of which course they’re on. So that’s a little odd. If you choose a date in the past, the ride will post to Strava as being on that past date. The best solution? Set your date, open up Zwift, log in, then before you pair your devices set your date back to today. This will get you the course you want, but upload to Strava on today’s date. Question, Does changing your computers date have any affect on the progress of the 7 or 14 day consecutive ride achievement? I’m currently on day 12 but would like to go back to Watopia for a few days of recovery riding, but also do not want to lose the progress I’ve already made towards the achievement. To be honest I don’t recall! I THINK the rides were uploaded to my Zwift profile for the current day, which would seem to mean they would count towards your achievement. But you may want to do a real quick test ride to confirm that first. 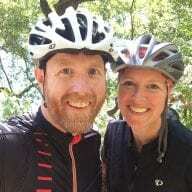 I just changed the date to get in Watopia, but at the end of my (101-mile) ride, k pressed the upload to Zwift + Strava button, but nothing has happened. Any ideas? Or you can just set the tag in your preferences file. Regarding course changeover – what if you start a ride (Watopia for example) and past the 21:00 changeover do you end up cycling on the new course or only when you end ride and start again?? Is there a solution to do this wit apple tv?